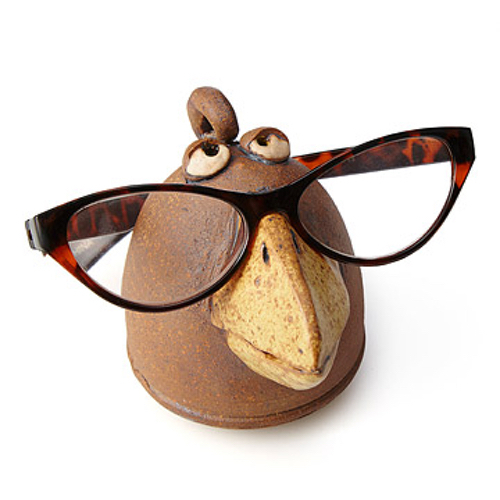 This sweet stoneware bird may not look like a night owl, but she'll stay up far past her bedtime to ensure that your specs stay safe and secure while you sleep. Before you settle in for the night, perch your glasses on her generously sized beak and she'll be sure to keep a watchful eye over them until you rise the next day. Handmade by Karen and Stephen Steininger in Iowa.